Yes, this add-on has no point. It's intended for fun. 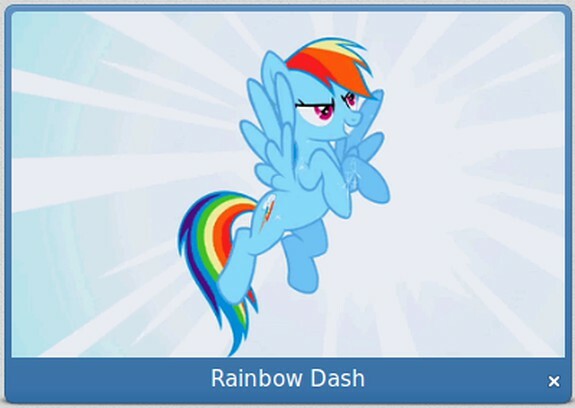 Maybe you wanted Rainbow Dash to be a link to your favorite website. This extension will appear in Speed Dial.